Professor Graham Reed recognised for his contribution to the photonics industry. Deputy Director of the University of Southampton’s Optoelectronics Research Centre and Director of CORNERSTONE, Professor Graham Reed, has been voted winner of the PIC Individual Contributor Award by industry peers and influencers at this year’s silicon photonics PIC International Conference in Brussels. The PIC Awards are dedicated to celebrating leading lights in the industry and highlight key achievements in advancing photonic integration through platform development, manufacturing, design, packaging and device characterisation. With nominations and voting taking place online, the formal presentation was made at the PIC International Conference 2019 networking dinner on 26 March. On learning of his award, Professor Reed said: "I'm delighted and honoured to receive this PIC Award, especially because it was voted for by the Silicon Photonics industry and given the vibrant and buoyant field in which we all work, with so much talent around. It's a testament to the great job the CORNERSTONE team have done at Southampton". 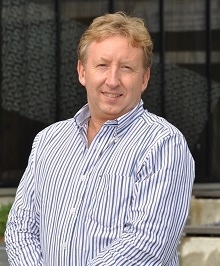 Graham was one of three candidates shortlisted in the Individual Contributor category, which included Peter O’Brien from the Tyndall National Institute and Peter De Dobbelaere from Luxtera. 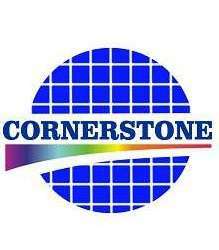 CORNERSTONE is the silicon photonics fabrication capability led by the University of Southampton and funded by the Engineering and Physical Sciences Research Council (EPSRC). 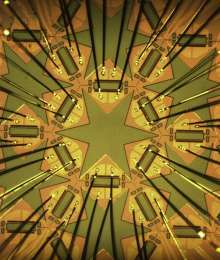 It provides regular access to multi-project wafer batches for both active and passive silicon photonics devices at competitive prices for industry and free of charge for UK academia (until September 2019). CORNERSTONE exhibited and presented at this year’s PIC International Conference which ran from 26- 27 March 2019. Below is the tentative schedule for future MPW calls (updated January 2019)*: *MPW schedule subject to change.